As the market for aircraft propellers has become more international, Hartzell Propeller has increased its presence at key international trade shows and exhibitions. 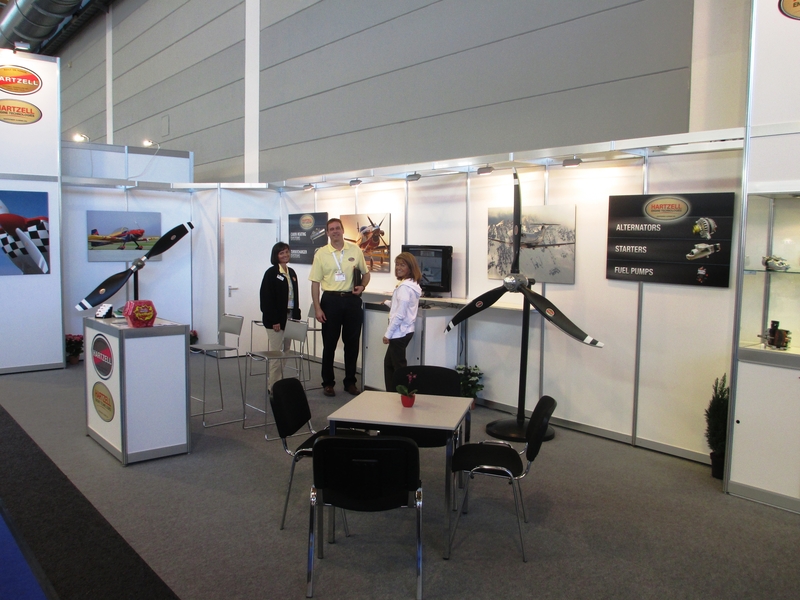 This increased international emphasis was never more evident than at Aero Friedrichshafen in Germany April 24-27, 2013. 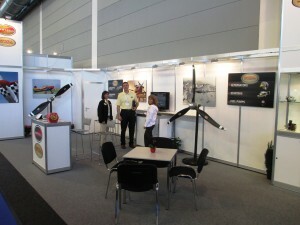 Hartzell Propeller increased its footprint by more than 30% with a new open architecture exhibit stand. The exhibit has stunning graphics highlighting some key propeller installations that can be seen throughout Europe. The exhibit also had two examples of Hartzell’s newest lightweight structural composite “Bantam” propellers. There were both 2 blade and 3 blade “Bantam” propellers on display that showed the diversity of this new series of propellers. As in past years, the Hartzell Propeller folks shared the exhibit space with the team from one of their Tailwind Technologies’ sister companies Hartzell Engine Technologies (HET). Between Hartzell Propeller and HET there were eight people staffing the exhibit and traveling the halls meeting with current and potential future customers for the complete offering of Hartzell products.